Companies, agencies, and individuals who contribute significantly to us can be listed as Sponsors, and acknowledged in our marketing materials, web sites, and events. See current List of Confirmed Sponsors. We are currently looking for Founding Sponsors to support the continuing development of the nonprofit New Jersey PACE program. And we are building the NJPACE Alliance, a network of related businesses, organizations, municipalities, and funders supporting the program in an ongoing way. NJ FREE is a broad‐based coalition of organizations and individuals whose goal is to help lead New Jersey to take a decisive step in the creation of a sustainable society. We welcome for your help in achieving that goal. MSEIA is a solar energy trade and advocacy organization representing New Jersey, Pennsylvania, and Delaware. Established in 1997 by solar energy advocates, it is an historic and highly-effective membership organization that consists of solar developers, contractors, manufacturers, architects, engineers, consultants and other industry professionals. In addition to policy advocacy on the state and federal level, MSEIA works with local governments to encourage and aid in the development and rapid adoption of solar installations. The result is a new renewable energy economy which fosters green jobs and decreases the use of fossil fuels. MSEIA is an IRS approved 501 C-6 non-profit organization.and is a regional affiliate of the national Solar Energy Industries Association. 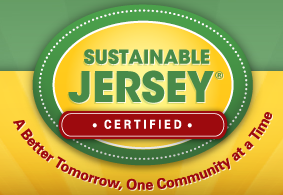 We support Sustainable Jersey, a remarkably successful state-wide program that has enrolled more than 400 NJ cities and towns in embracing a greener future.